The Muslim biker group you have probably never heard of but should get to know. UMMA (United Muslim Motorcyclist Association) is an association aimed at Muslims who have a passion for motorcycles, while also having a yearning to spread their faith through something they love. Breaking through all stereotypes of what being a biker or a Muslim is, the brothers and sisters at UMMA are making a difference through their amazing charitable work as well as working to portray the true meaning of Islam. 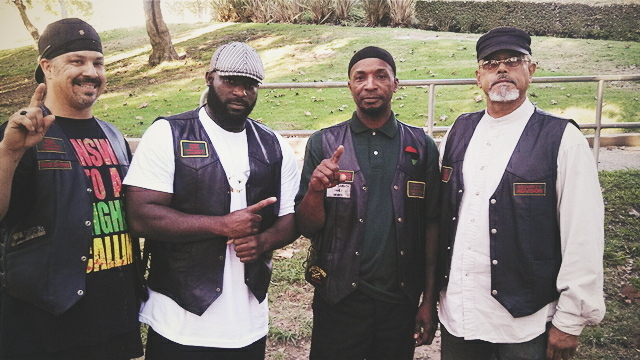 We spoke to Dawud Abdullah who is a part of the Mother Chapter of the association in Los Angeles. He gave us an insight into what UMMA is and what it means to be a Muslim Biker. So how did UMMA come about? What made you think of Muslims coming together as bikers? In the name of Allah most merciful. UMMA came about as an inspiration from Allah, to form a motorcycle association geared towards Muslims who love to ride motorcycles while staying within their taqwah, and praising Allah. The physical coming about started in Los Angeles, CA when 3 brothers had a conversation on their different experiences of riding with Muslims vs riding with non-Muslims. This realization inspired us to form a motorcycle association, solely for the WORSHIP of Allah, not worldly recognition. "Camaraderie, Unity, Family, Dawah, Worship, learning and pleasing Allah"
So no one can claim founder of UMMA, UMMA is all about sincere worship, and worship was here before Adam. Camaraderie, Unity, Family, Dawah, Worship, learning, and pleasing Allah. So many things came to mind, such as being an example that as Muslims you can enjoy a moderate lifestyle without compromising your Deen. Also as a way for other Muslim Bikers, that ride with non-Muslims organizations to see that Islam covers a vast aray of lifestyles without compromising your Iman. As well as a clean halal environment to gather and have halal fun. What are your main goals or objectives for UMMA and the people involved? UMMA's main goal is pleasing Allah, and entering paradise. Worldly, UMMA members are business minded, entrepreneurial believers, with objectives that target the youth in a positive manner, and that build community strength. This allows UMMA members to participate in positive activities, which bring about positive growth to the individual and UMMA. You have a sister's branch of UMMA as well, how do you combat the stereotypes that surround Muslim women in this day and age? Very good question, honestly, UMMA doesn't worry about any stereotyping of Muslims or Muslimas, we hear and we obey. But as far as the sisters in UMMA go, we love and recognise Mothers of UMMA. "Some couples have used their cycling experience to enhance their marriage"
To shut down the opportunity for a Muslima to join UMMA would be taking away an avenue for a female to connect with Islam. Some couples have also used their cycling experience to enhance their marriage, UMMA wants to keep that open. Allah is in charge of how someone will accept Islam, then grow in knowledge and move forward towards Paradise. Islam has always been supported by the Muslimas, they were very helpful in many campaigns, advice, dawah, the first martyr of Islam was a Muslima. UMMA has a sisters voice which is highly respected, how can there be a UMMA without the Muslima? 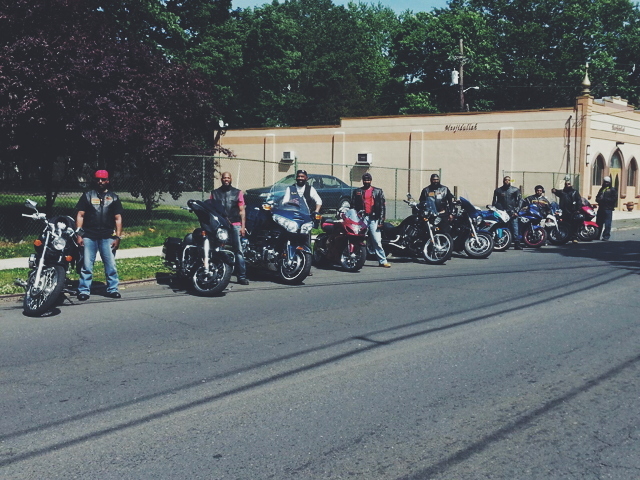 Some people see biker groups as synonymous with negative things, how is UMMA combating that stereotype, and what would you say to people with such opinions? UMMA combats the negative stereotype of bikers. We believe that the general public is aware that most motorcycle organizations are law-abiding people, as we haven't, as of yet, had any problems with any other motorcycle organization or law enforcement. But this is a good question, because even some Muslims were skeptical about UMMA as we were Muslims representing Islam with an emblem/patch on a black vest. However, over the years they have seen the good work that Allah allows us to do on a national level, and now UMMA is very well respected nationwide, all Praise be to Allah. Do you plan on opening any international chapters? Yes, we do and already have. We have a chapter in Asia and are forming more chapters there. Proceeding with Chapters in Africa and inshaAllah the UK. We cannot express how impressed we are at the work being done by the members of this biker crew. While researching for this post we have come to realise that UMMA is so much more than a group of boys with their toys. Not only are they breaking stereotypes and representing a positive image of Islam to non-Muslims, but they are providing a fun, halal and innovative pass-time for Muslims like themselves. Expanding horizons and breaking barriers may Allah (SWT) reward them for their effort.